The dream is a reality. Installer left about an hour ago. So happy. First order of business was slapping on an Oppo sticker. Didn’t have anyone to spot for me, so I left it about 1.5ft shy of the top setting since I didn’t want to hit the roof. 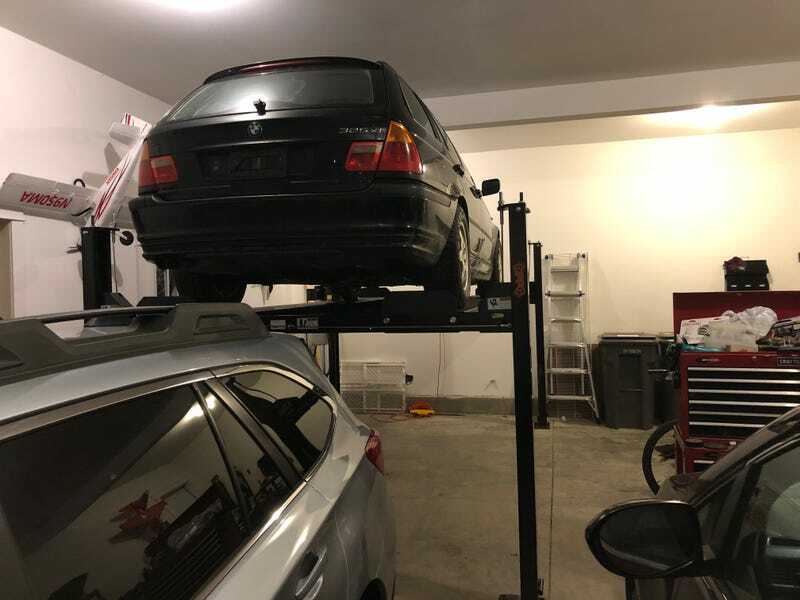 Even as it sits there is room for the 996 under there, my measurements before install say that I can stack the E46, 996, and Outback in any combination of 2. The only thing that can’t be stacked is the Odyssey, and even then, I may be able to do the Odyssey and 996, but I don’t imagine my wife would be game for her car being inaccessible.